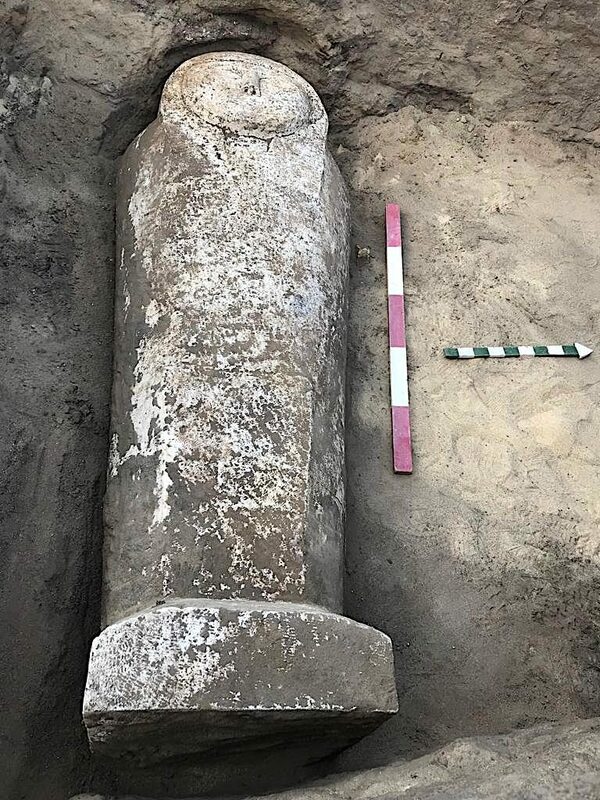 An Egyptian team of archaeologist of the Ministry of Antiquities working at Quesna queries site in Menofia governorate (about 100km north of Cairo), successfully discovered a limestone anthropoid sarcophagus during the excavation at the north western part of the Quesna quarries. 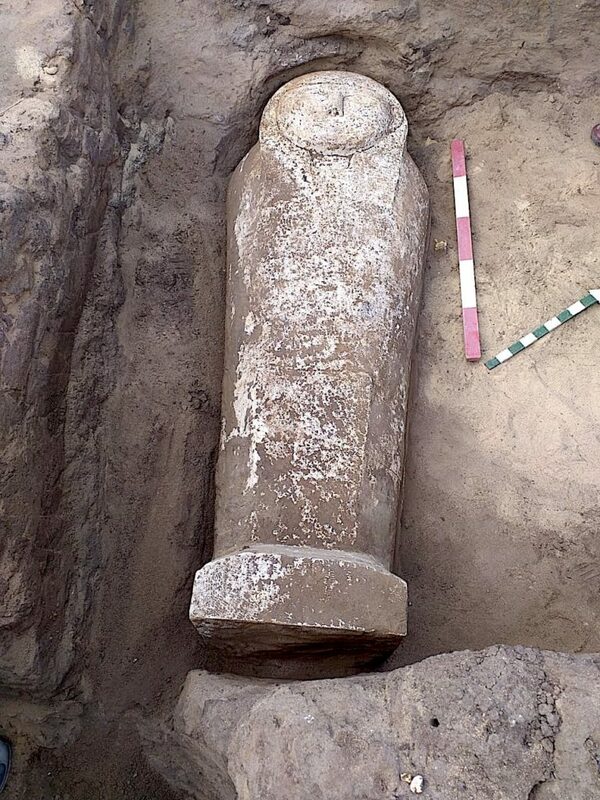 Dr. Mostafa Waziry said "The discovered sarcophagus measures 2 meters and about 60cm in width. A mummy in a bad state of preservation was found inside with gold applique on the mummy. The discovered sarcophagus was moved to the restoration lab at the warehouse to be restored and preserved under the supervision of Dr. Ghareb Sonbol (Head of Restoration and Preservation Department)." Dr. Sonbol said that the restoration team has worked on the uncovering of the rest of the sarcophagus in order to prepare it for the different environment. They also partially uncovered the lid and detected two mummies on top of each other. The sarcophagus condition is stable and preliminary preservation measures has been taken to protect it." Dr. Aiman Ashmawi said "The team discovered a part of old Quesna cemetery too which is dated to the Old Kingdom. The cemetery was used over the years through to the Late Period and Ptolemaic era. It contains different styles burials, most of them are from west to east in multiple layers." As for Dr. Nadia Khedr (Director of Lower Egypt Antiquities), she said that a scarab shaped golden applique was found and delivered to the Egyptian Museum in Tahrir. Faience scarab as well as 3 limestone canopic jars heads, bronze Ptolemaic coin, several pottery pots, amphorae, plates and parts of bronze nails were discovered.